Home, Door and Window Products offers security storm doors that will increase the security and safety of your home or business. Our Fox storm doors and Trapp storm doors are incredibly durable and will add instant curb appeal, value, and beauty to your home or business. Home and Door is a reliable company, and we can ensure you the highest quality, the best service, and affordability. Home and Door has a vast selection of security storm doors and a large selection of Fox storm doors and Trapp storm doors on display. We guarantee you will find a storm door for your Chesterfield residential home or commercial business. Chesterfield, Michigan is located in northern Detroit in Macomb County with a population of 37,405 people. 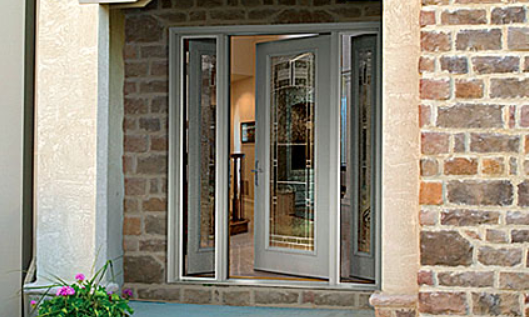 Chesterfield customers know that they will receive high-quality security storm doors from Home and Door. Our knowledgeable sales team will help you select the perfect storm door for your home or business. Our Chesterfield customers feel safe and secure in their homes after installing their new security storm doors that were purchased from Home and Door. If you want to enhance your curb appeal and beautify your home or business come check out our new inventory of storm doors, we promise you won’t be disappointed. Home and Door is a trustworthy company with an outstanding reputation. We have over 150,000 satisfied customers. Set up your FREE in-home estimate and consultation today! For more information about our Fox storm doors or Trapp storm doors contact Home, Door and Window Products at (248) 399-9900.